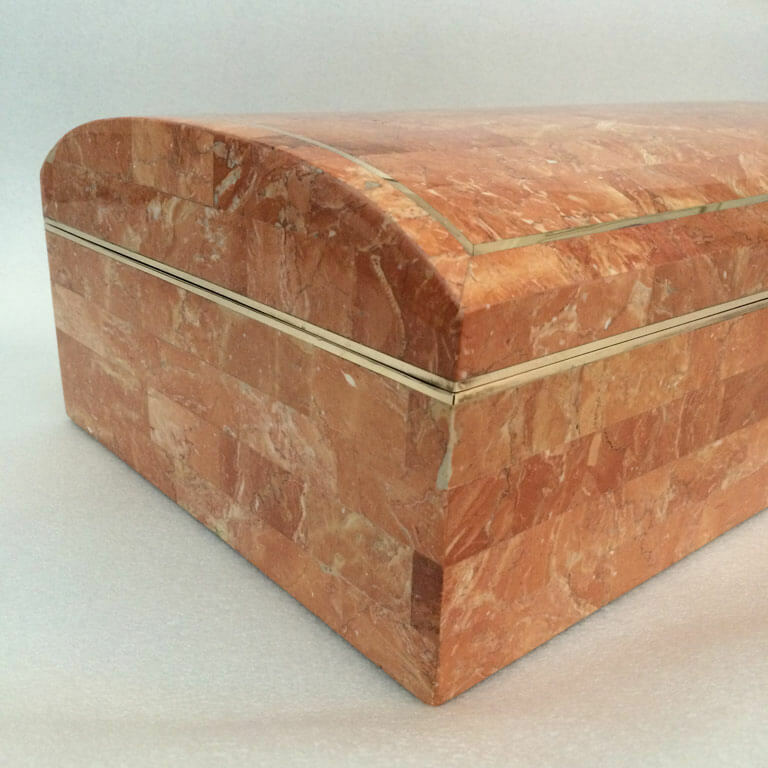 A beautiful large Maitland Smith tessellated stone box. 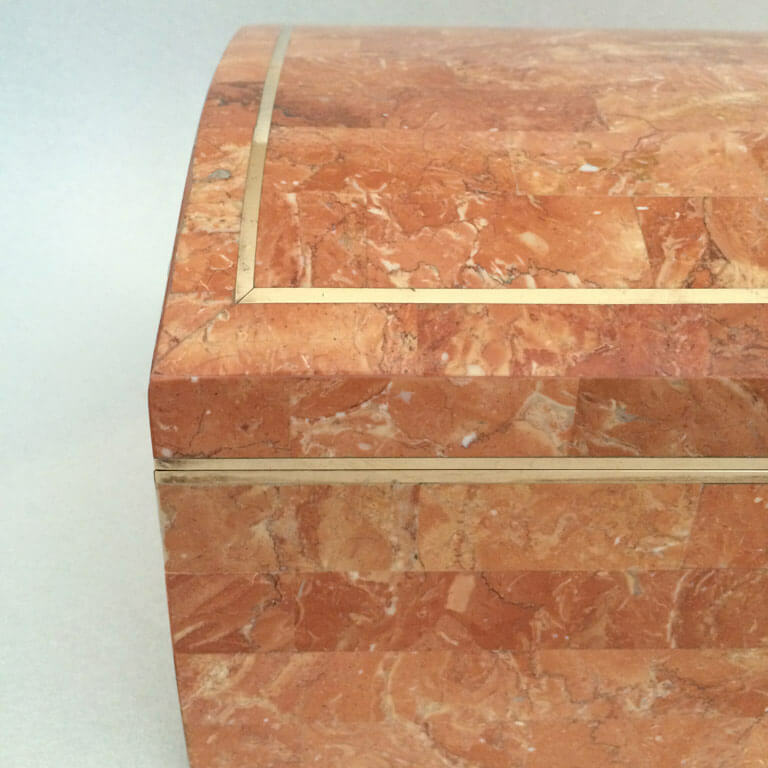 The box of tessellated stone could function as a jewellery box and is designed by Maitland Smith. 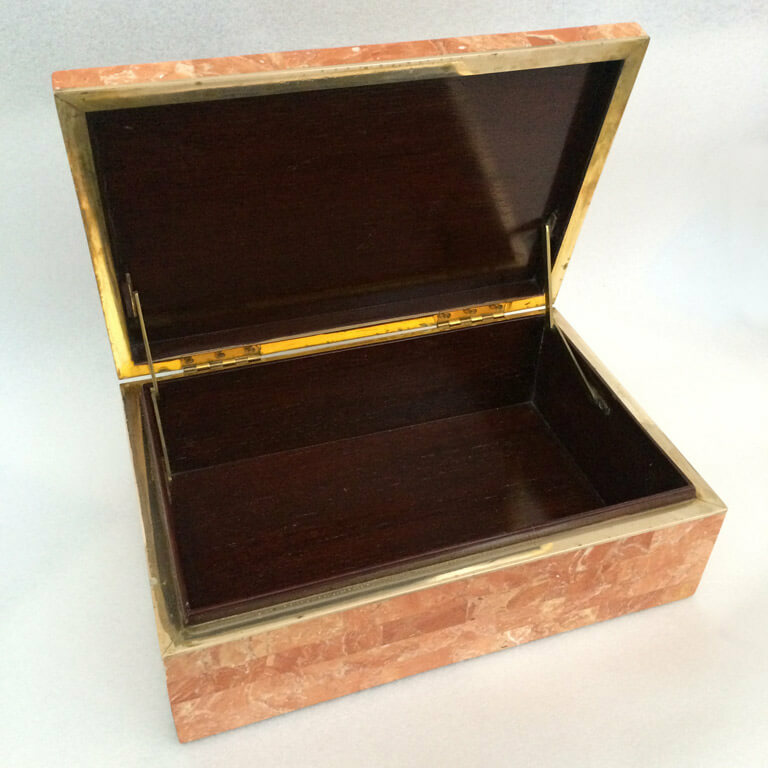 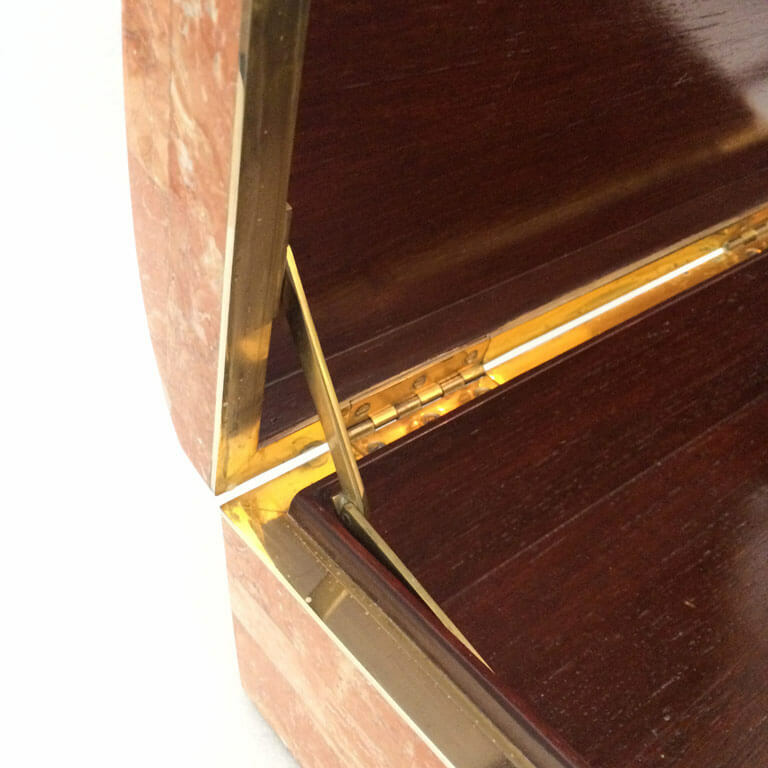 The coral color has a brass trim. 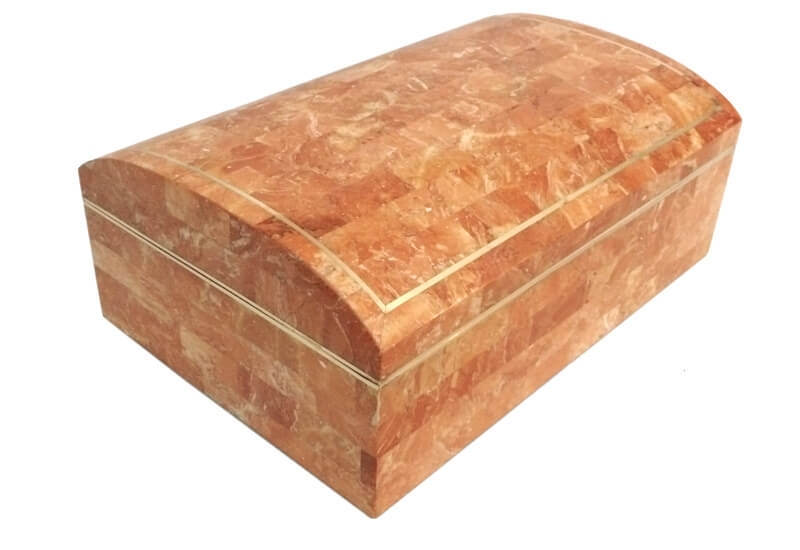 This chic stone box would look fabulous on any of your tables to keep your favourite things together.